This is an Inta Audio Exclusive including the Aston Spirit High-performance Condenser Microphone and a FREE AudioKraft Pop Shield. The definition of unique design, the UK-made Aston Spirit is unlike any other microphone you have ever seen. 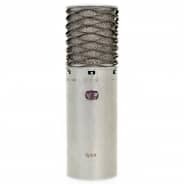 This high-performance microphone offers the ultimate flexibility, utilising a simple three-way polar pattern switch (omni, cardioid, figure-of-eight) and a 1" gold evaporated capsule. It is versatile enough to use with most instruments and excels on acoustic guitar and vocals. Its hand-selected capsule is teamed with high-end transformer balanced circuitry using only the best components. Designed to deliver a beautifully open and accurate sound with sparkling harmonics for a stunningly natural and transparent recording, you can be assured that no detail is lost when you record with the Aston Spirit. The Spirit's signature shock-resistant wave-form mesh head not only has a completely unique and stylish appearance, but also completely encapsulates the capsule at the heart of the mic, offering unrivalled protection. Heavy impacts that would ordinarily damage or destroy most mics are not an issue with the Spirit - the mesh allows the head to be returned to its normal position when distorted, without any damage or loss of functionality. 5stars! The Origin and Spirit shine again. "What a sound! …Aston has managed to raise the bar of sound performance even further upwards…Thoroughly recommended!" The Spirit gets awarded Gearslutz 5/5 star award in this glowing review. 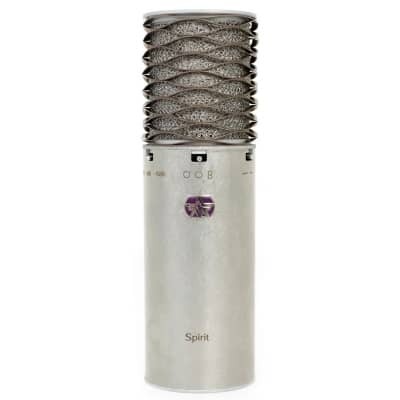 "The Spirit is spot on, a great mic for the money; in terms of voicing and character, a step at least above even similarly-priced mics. There's something special in the Spirit's character and voicing. After a first use I realised the Spirit had some soul." "The Spirit sounds clean, solid, and smooth with just a hint of flattery. Built and tested in the UK using high-quality parts, the construction looks designed to last and the price is undeniably attractive. The Spirit should look just as good in 20 years as it looks today. 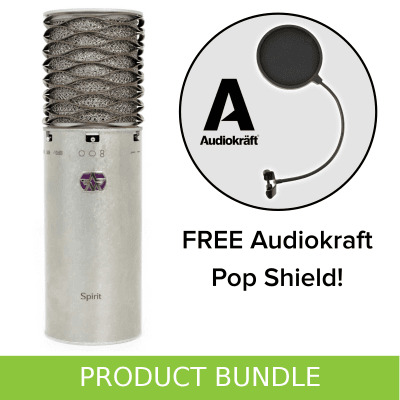 The Spirit stands up well against more costly US?made boutique mics…"
"The Spirit performed well at just about everything we threw it on, matching and even outperforming some much more expensive microphones in the process. The Spirit is virtually a must-have." "The Spirit has a very natural open sound with just a little upper-end lift that adds a hint of air, and a smooth, almost “finished” sound that’s a pleasure to record. 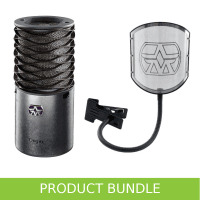 … Aston has made some clever decisions to get a mic as good as the Spirit to market at the price. …the internals are excellent, the sound is very good indeed, and the whole thing looks like a work of art and drips class."